The iPhone dominates all other manufacturers and devices on Flickr's annual year in review roundup, with all of the service's top 10 devices in use occupied by various iPhone models. 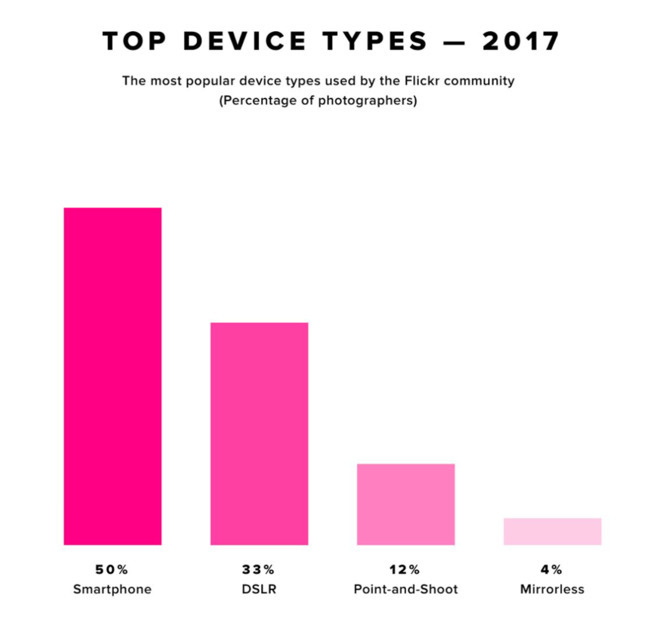 In the annual roundup of photography and cameras published by Flickr on Thursday, the iPhone held 54 percent of the top 100 device spots. The most popular phones worldwide were the iPhone 6, the iPhone 6s, and the iPhone 5s in first through third places. The smartphone continues to push out point-and-shoot devices. In general, smartphones grew to 50 percent of all the photos uploaded to Flickr, up from 48 percent in 2016. DSLR cameras grew to 33 percent, up from 25 percent, with point and shoot dropping to 12 percent from 21 percent. Following Apple, Canon was the second largest brand used by photographers on Flickr, responsible for 23 percent of the top 100 devices. Nikon was the third most popular brand of 2017, with 18 percent. For photo selection, Flickr started with an algorithm that calculated the top photos based on a number of social and engagement metrics, including how many times the photo was viewed, favorited, or shared. Flickr staff curated that raw data using a method that it did not disclose to avoid having the results be overly impacted by a user's popularity. Flickr also limited selections to one photo per photographer. 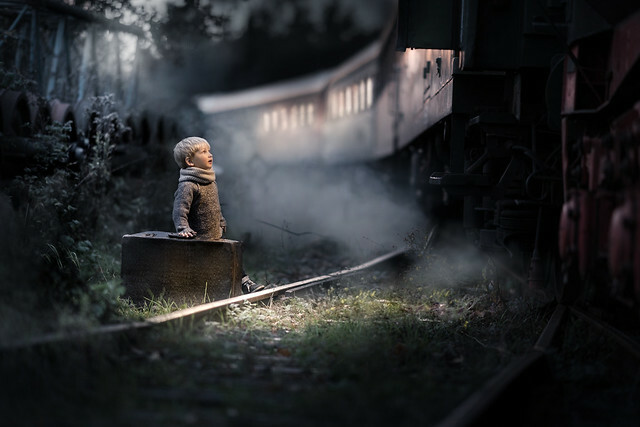 In conjunction with the device rankings, and the top 25 pictures across all nations and categories Flickr has posted galleries of the top 25 photos for the United States, Canada, the U.K. and other nations. Other galleries for top nature photography, best macro shots, and street photographyhave also been assembled.